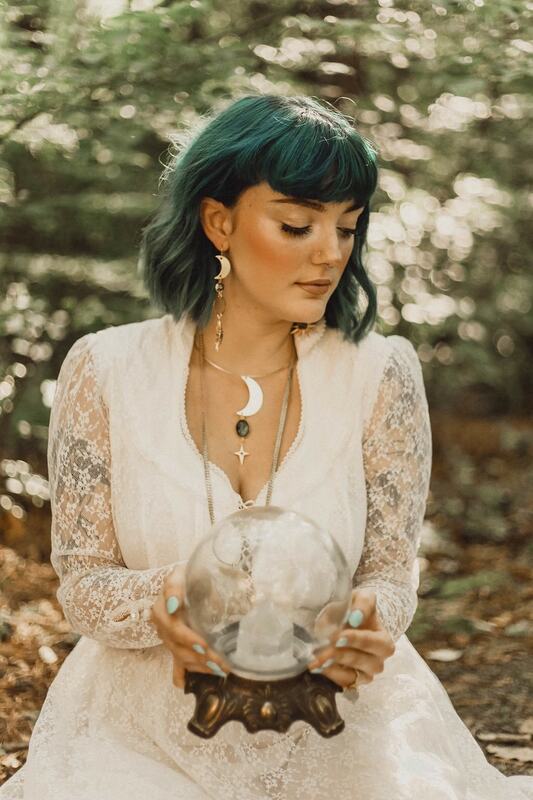 The Lona Earrings are part of The Gypsy Fawn’s first bridal collection. 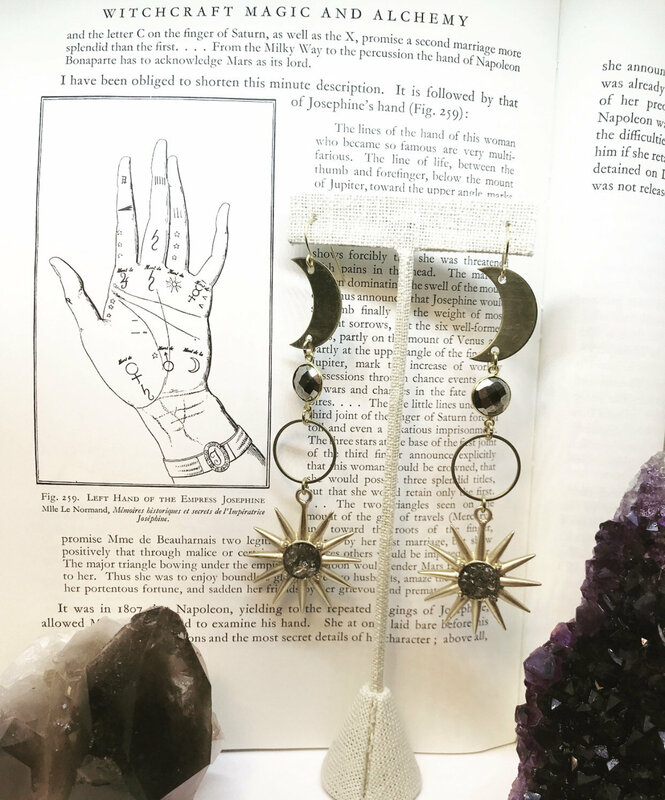 The earrings are named after a lunar deity in Hawaiian mythology who fell in love and married a mortal. 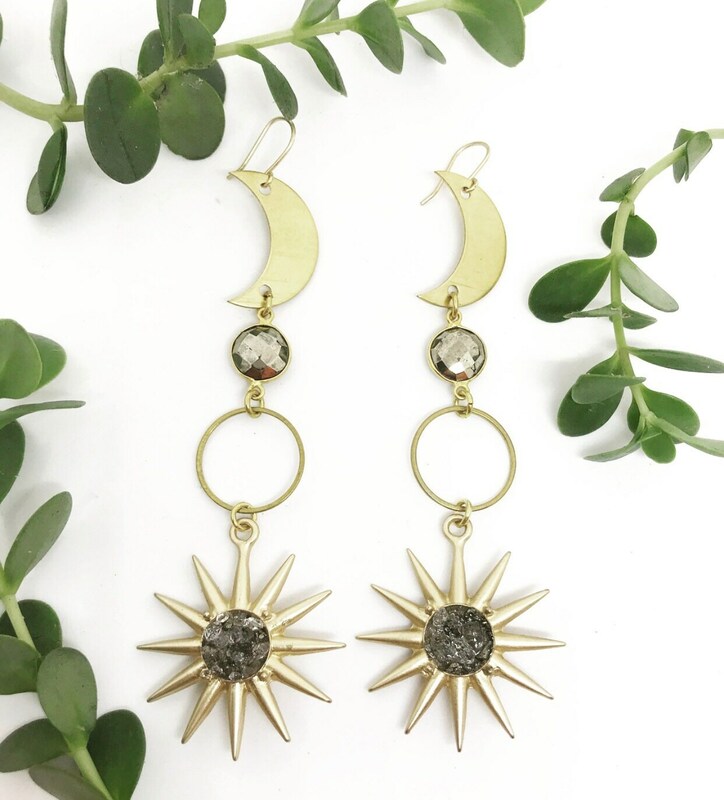 The earrings feature brass moons, vintage brass circles, and matte gold starbursts or suns filled with pyrite and herkimer dimaonds. They also feature pyrite connectors. Pyrite is said to be a defensive shield against negative energies. Herkimer Diamonds are often used in dream and vision work. 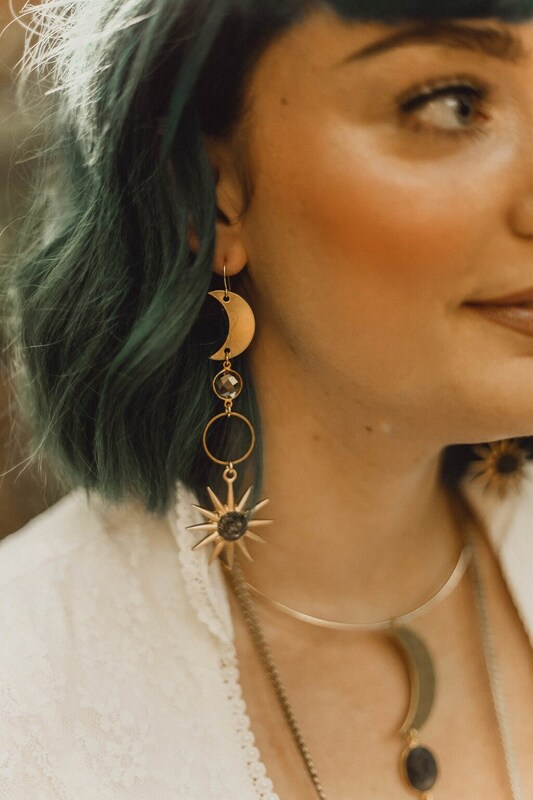 The earrings measure 4 inches long and hang from gold plated, nickel free ear hooks. The earrings are lightweight. 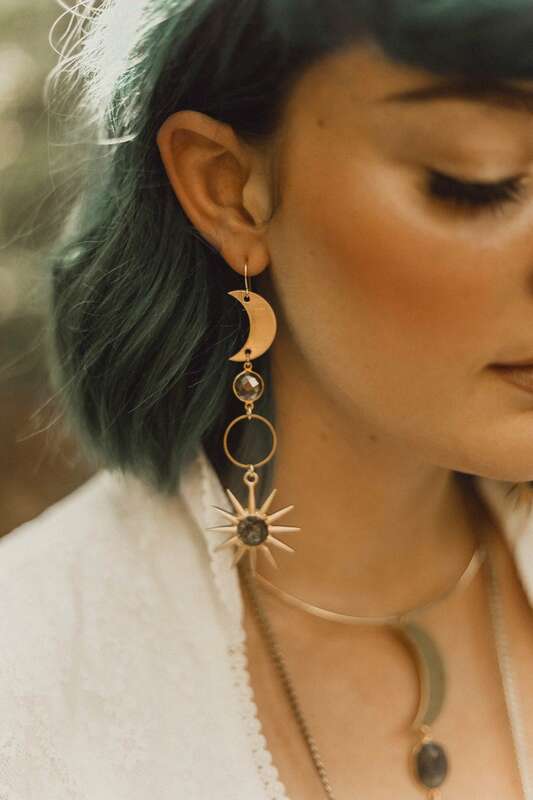 The Gypsy Fawn Bridal Line takes wedding jewelry to another galaxy. 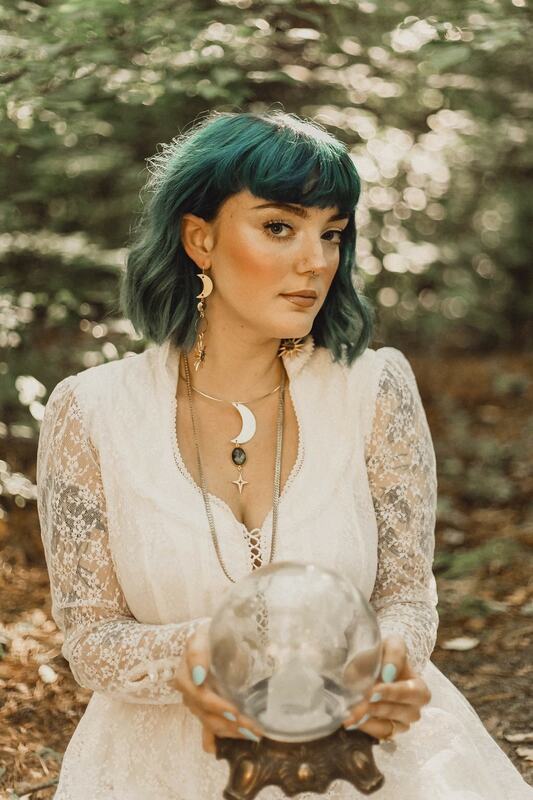 The pieces are meant to make you feel like the goddess you are while also being wearable beyond your special day.